The evolution of Nintendo since the 80’s has been a rollercoaster. 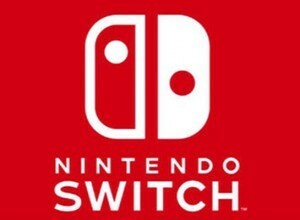 After the release of the NES, Nintendo created one of the best consoles ever released in the SNES, which was then followed by the even more impressive, generation defining N64. 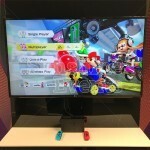 Nintendo have always been about fun, family game play, and despite a few hiccups along the way - the less said about the Gamecube, the better - Nintendo have always tried to stay ahead of the competition without losing its heart. 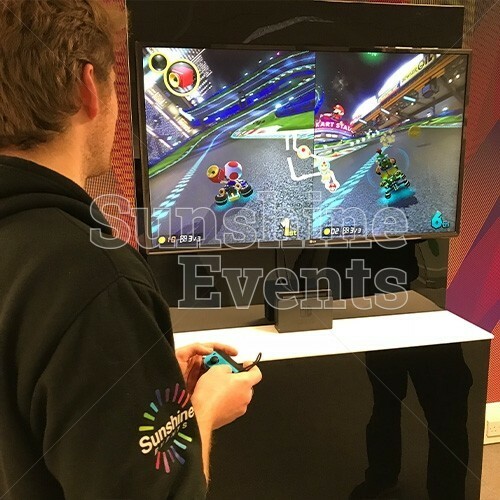 After bringing you the Nintendo Wii for hire, which has served events well for nearly ten years, we now have the Nintendo Switch. 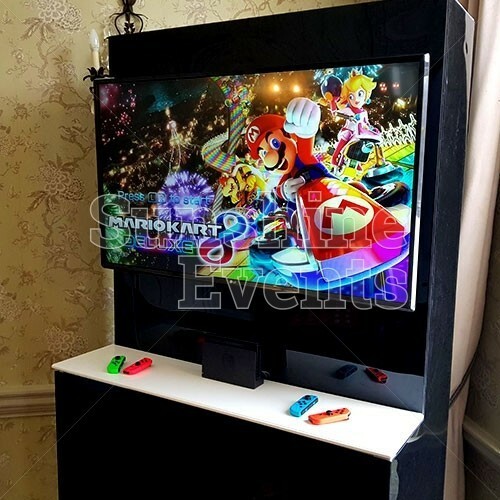 This little machine will see it added to every birthday and Christmas wish list, so we thought we’d give you the chance to see what all the fuss is about. Featuring impressive graphics and gamer interaction, the Switch has brought an immersive experience to gamers, more so than the Wii. 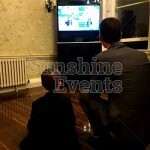 Hired with our purpose built TV Unit, this slick ‘station’ is perfect to show off the fun to be had. Played on an ultra high definition, 43” television, your guests will be wowed by the graphics on show, the ease of gameplay and the massive amounts of fun for all ages. 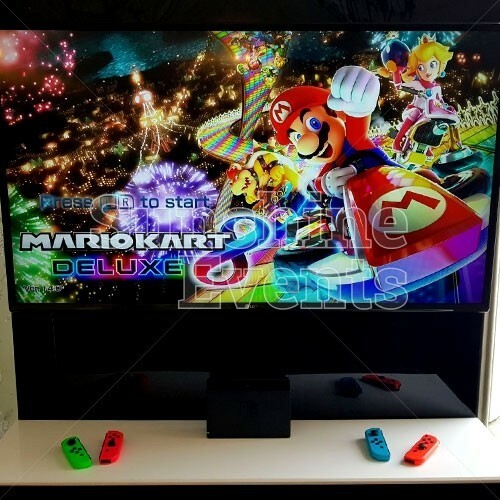 Mario Kart 8 Deluxe - the staple of any Nintendo Console, this classic has been revamped with new characters, courses and a whole range of karts. 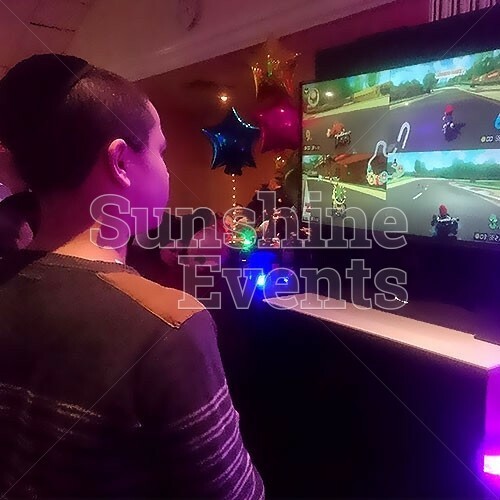 Up to four players can compete as you race around funky, creative race tracks and battle it out to take the trophy! 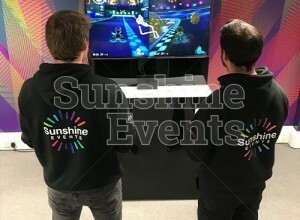 What events is the Nintendo Switch Hire suitable for? Having a product that entertains all demographics can be hard to come by, that’s why the Nintendo Switch makes for the perfect addition to all events. 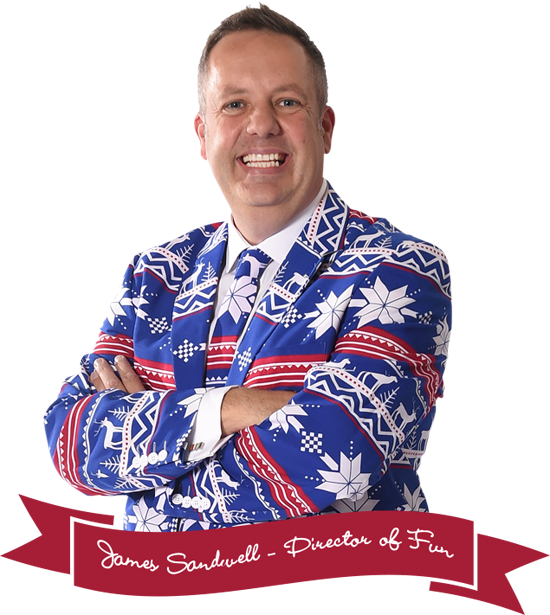 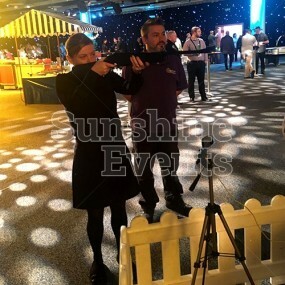 You can be sure that after you invite the Fun Experts to your event, you’ll have made the right choice in this brilliant product. 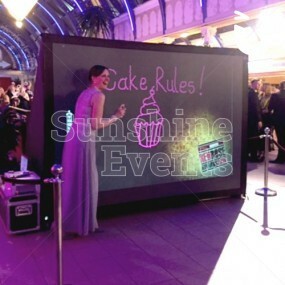 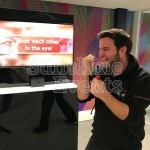 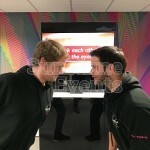 Bespoke Branding - the Unit that houses the display screen,already slick in it's design, is the perfect canvas to add your brand. 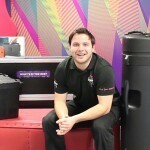 Through vinyl stickering, you can really stand out with this hire. 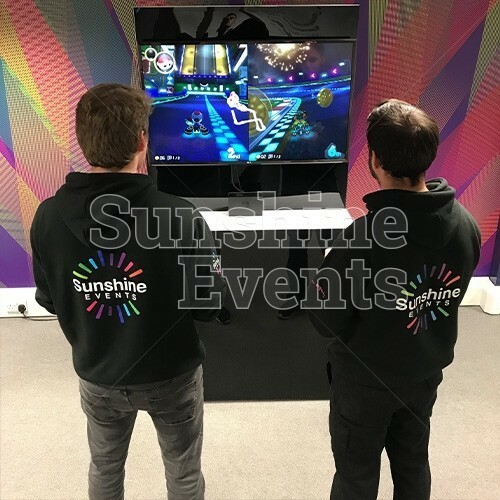 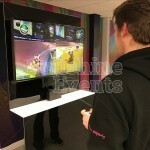 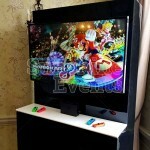 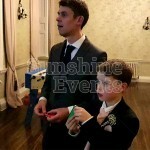 Games - already supplied with some of the best games that the Nintendo Switch has to offer, we can upgrade the hire to feature a game better suited to your event. 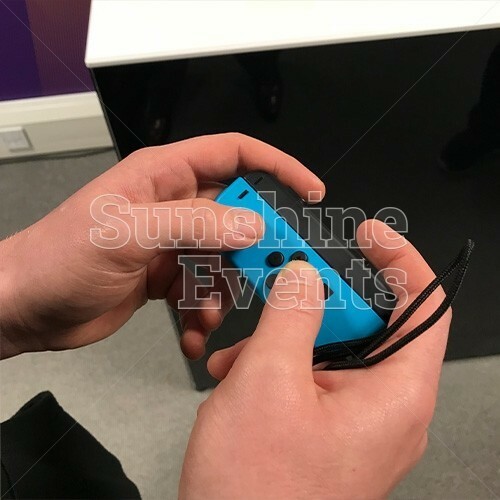 When discussing your hire of the Nintendo Switch, be sure to enquire with the Fun Experts about these upgrade options and how we can bring another level of excitement to your event. 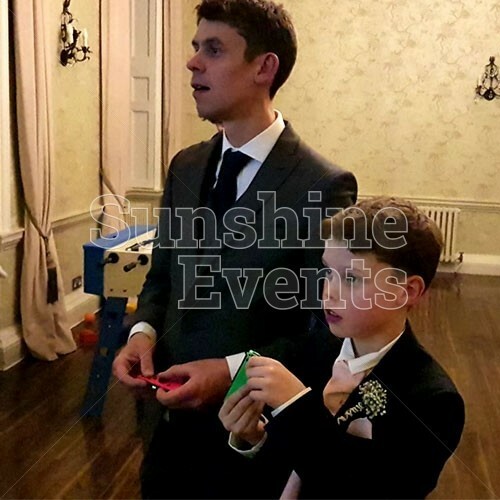 BLOG - You won't want to SWITCH this off! 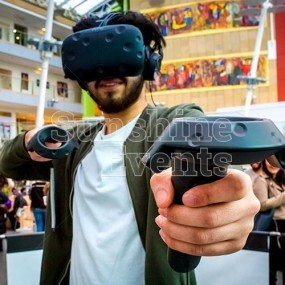 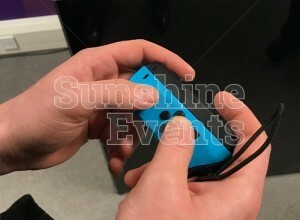 Nintendo Switch Hire has been added to your Event Quote.